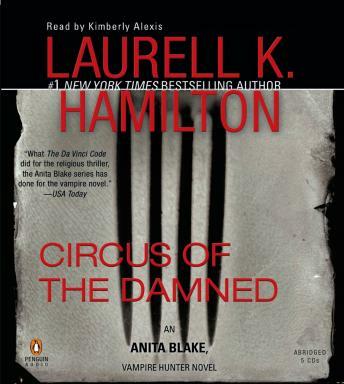 First time in trade paperback: the third novel in the #1 New York Times bestselling series. In Circus of the Damned-now in trade paperback for the first time-a rogue master vampire hits town, and Anita gets caught in the middle of an undead turf war. Jean-Claude, the Master Vamp of the city, wants her for his own-but his enemies have other plans. And to make matters worse, Anita takes a hit to the heart when she meets a stunningly handsome junior high science teacher named Richard Zeeman. They're two humans caught in the crossfire-or so Anita thinks.